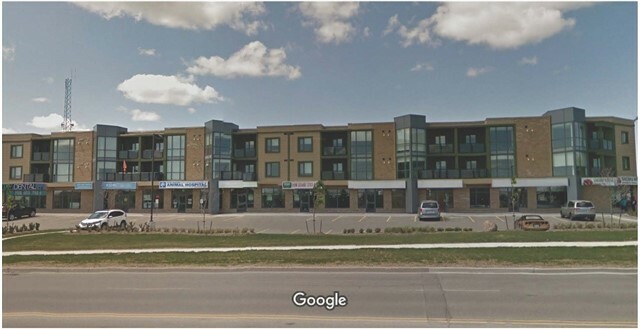 Prime Commercial Location In Fast Growing Area Of Barrie At Corner Of Big Bay Point Rd & Royal Parkside Dr. Uniquely Designed Commercial Building Consisting Of 9 Commercial Units Ranging In Size From 838 To 1,534 Sq Ft With 2nd Story Residential Component Consisting Of 24 Units. All Offers Must Be On Landlord's Standard Offer Form. Want to learn more about 4-750 Big Bay Point Rd (Big Bay Pt & Royal Parkside)? I would like to learn more about 4-750 Big Bay Point Rd (Big Bay Pt & Royal Parkside).